How To Decide if you Need Smartphone Insurance | OhGizmo! Featured post by Todd Green. -Ed. Whenever you sign up for a new cellphone plan, there is one moment that is always the same — the moment where you are asked if you want insurance. There are many different opinions on what you should say in that moment; some people swear by cell insurance, while others decry it as a scam. Below, you’ll find some shopping strategies to help you decide if insurance is right for you — and where you should get it. At the heart of it, deciding on phone insurance is about a simple equation: How much does the insurance cost versus how much the phone would cost to replace. Newer phones, of course, are going to have a higher replacement cost, and getting insurance for your latest pricey gadget is probably a good idea. On the other hand, the cheap pay-as-you-go model you pick up at Walmart may not be worth the monthly premium. Instead of thinking of phone insurance as a monthly expense, you can think of it as putting aside a bit of money for a new phone with every payment. Do you have kids? 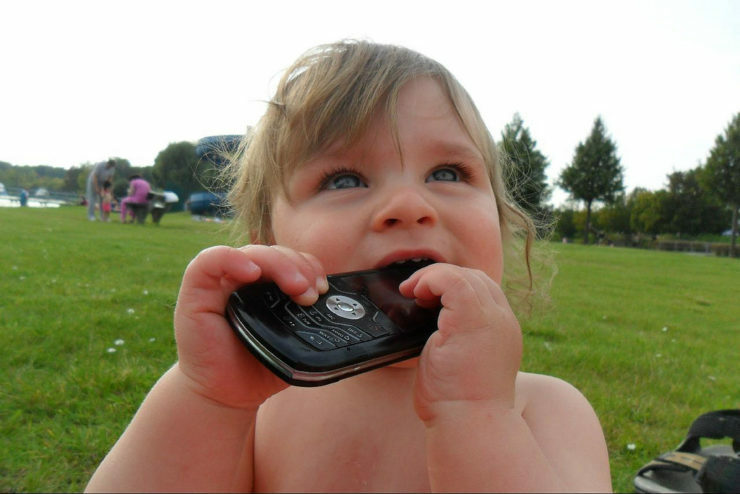 Children love cellphones almost as much as they love breaking things. When your little one decides to conduct their very own experiment on the interaction between your new phone and the garbage disposal, you are in much better shape if you have insurance to defray at least some of the replacement cost. Another factor to consider is if you travel a lot for work or do work on your phone. In either case, a lost or damaged phone could have career implications, and insurance helps deal with these problems swiftly. Whenever you are making a major financial decision, the smart first step is to see what other people have to say. When deciding on smartphone insurance, therefore, you should sample the available reviews. The prevalence and pervasiveness of Internet culture makes it easier than ever to find product and service reviews, though you should always keep the reputation of the site the reviews are found on and the credentials of the reviewer in mind. Consumer magazines and services are the best, while public review sites like Yelp may bias toward bad reviews or get flooded by fakes by a marketing department. Check a variety of insurers to find the best deal. Many people buy the insurance that is offered by their cellphone provider; while this is sometimes a good deal, there may be other providers that could offer a better rate. Before you even go to the cellular store to pick up your first phone, put in some Internet time to check rates, deductibles, and the ease with which each plan lets you get your replacement. The decision to insure or not to insure is ultimately yours, and there is no wrong answer, as long as you make the choice that fits your needs. Invest the time in researching the topic, and you’ll certainly make the right call.